You may have heard buzz recently about new ADA website compliance guidelines. The ADA (Americans with Disabilities Act) guidelines are in place to make sure that businesses are accessible by all, including those with disabilities. This has recently been interpreted to include business websites in addition to physical locations. There currently are no ADA regulations specific to websites, but the ADA is slated to release website compliance guidelines in the spring of 2018. 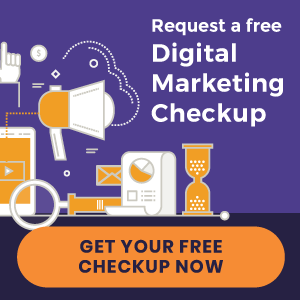 What Does this Mean for Chiropractic Websites? Without website-specific ADA regulations yet, the Department of Justice suggests websites follow the Web Content Accessibility Guidelines (WCAG) 2.0, Levels A and AA. Rest assured we take ADA compliance very seriously and have already made the most critical changes necessary to ensure your website is accessible by everyone according to the current suggested guidelines. And while the forthcoming ADA regulations will apply specifically to businesses in the United States, we will be updating all of our client websites because we feel making our websites accessible to people with disabilities is the right thing to do. In addition to the widget, an “Accessibility” link will be added to the footer of your website that links to a Web Accessibility Statement (like this) explaining the efforts being made to make your site accessible to everyone. 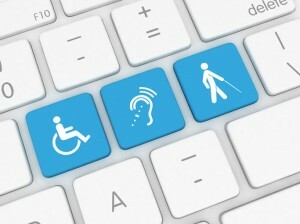 Keeping a website accessible is a continuous effort as new guidelines are released and technologies change. We remain committed to best practices and we’ll continue to release updates accordingly, as well as share information on steps you can take to ensure all of your content (audio files, videos, pdf’s, etc.) is accessible to everyone. Please contact us if you have any questions or concerns. *Please understand that Perfect Patients cannot provide legal advice. We do our best to stay on top of current policies and trends, but we ask that you consult your state board or attorney should you have additional legal questions beyond what we provide.